Leonardo DiCaprio is an American actor and film producer. Since the 2000s, Leonardo DiCaprio has been nominated for awards for his work in such films as Catch Me If You Can, Gangs of New York, The Aviator, Blood Diamond, The Departed, and Revolutionary Road. His latest films Shutter Island and Inception rank among the biggest commercial successes of his career. 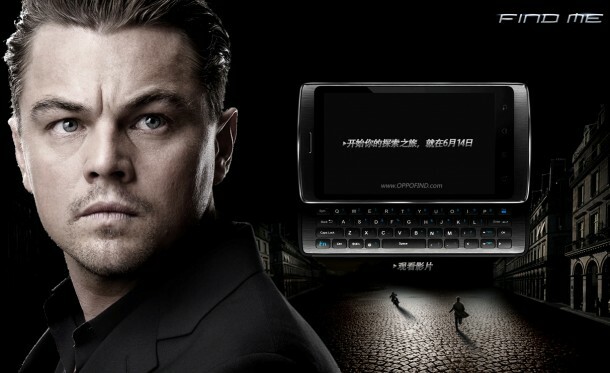 Leonardo DiCaprio – famous for his roles in Inception, Shutter Island, Titanic, The Departed and numerous other blockbuster films, he has put his name to a new product for the Chinese market. The product is the OPPO Find smartphone. According to reports, Leonardo DiCaprio was paid a staggering $5 million to feature in the commercials.